Amarillo Strength & Conditioning is Amarillo’s premier resource for personal training and barbell coaching. Our mission is to provide the best training for anyone looking to improve their health, fitness, and athletic performance. We offer training for individuals and small groups, training for student athletes, and training for special populations such as LEO and fire. Our facility is home to a community of athletes that make up the Amarillo Barbell Club. Life is motion. Motion requires force. The ability to generate force is strength. Your progression in strength will have an impact and carry-over to every other aspect of your fitness and health. From daily tasks becoming easier to a general feeling of vigor and strength in everyday life, you’ll reap the benefits of your strength gains inside and outside of the gym. 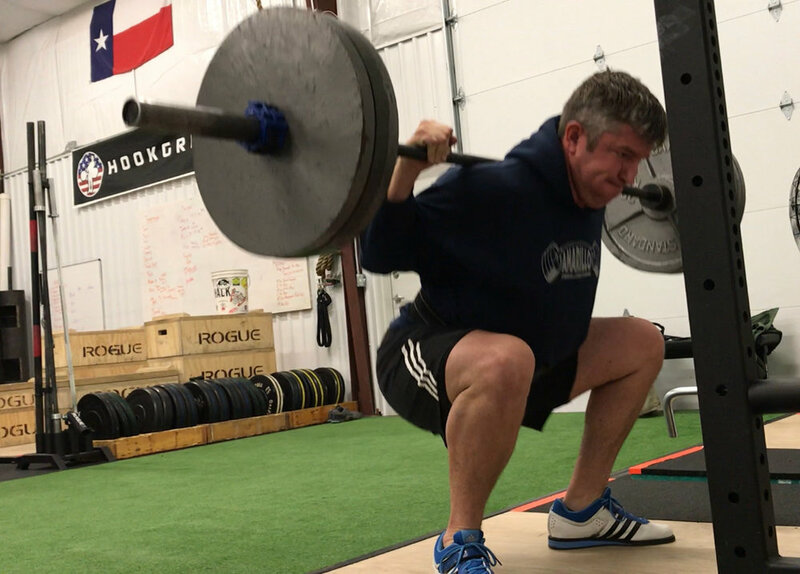 Amarillo Strength & Conditioning is a Starting Strength gym, we utilize the barbell training model and methods presented in Starting Strength: Basic Barbell Training by Mark Rippetoe, to teach and coach the barbell lifts. The primary objective of strength and conditioning is performance enhancement and injury prevention. That applies to both general physical preparedness (as required by first-responders/military) and sport-specific applications. Coordinated and planned training is required to maximize the amount of training benefit in the least amount of training time. We will tailor a conditioning program that is specific to your general health needs and performance demands. Amarillo Strength & Conditioning is home to the Amarillo Barbell Club, a supportive community of athletes that have unlimited gym access. Barbell club membership is limited to those individuals who have trained under a member of our staff, demonstrated proficiency in barbell mechanics, and displayed good character.